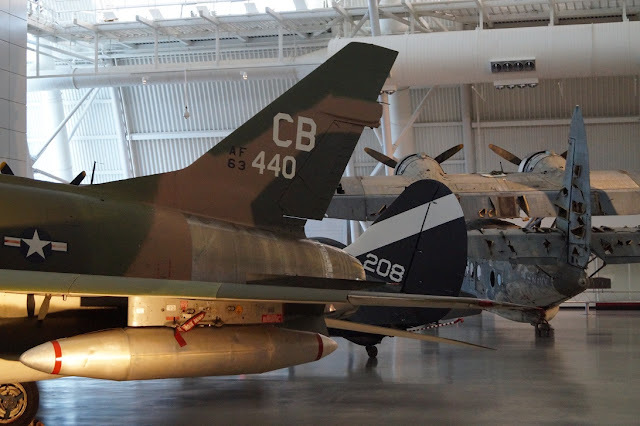 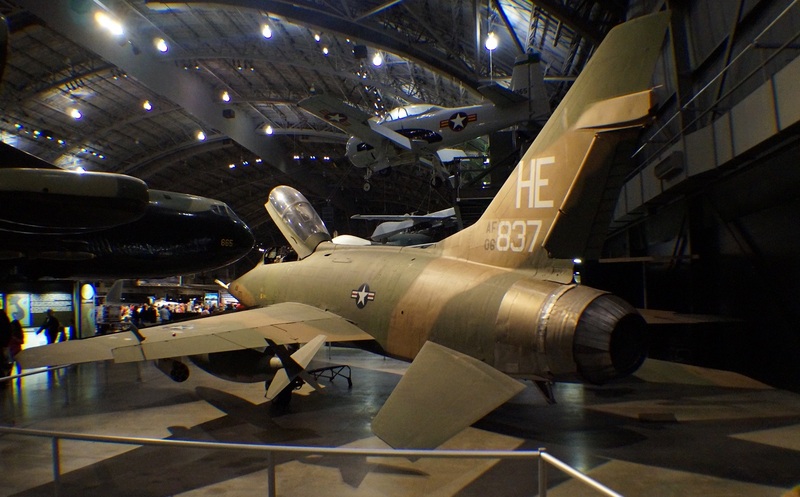 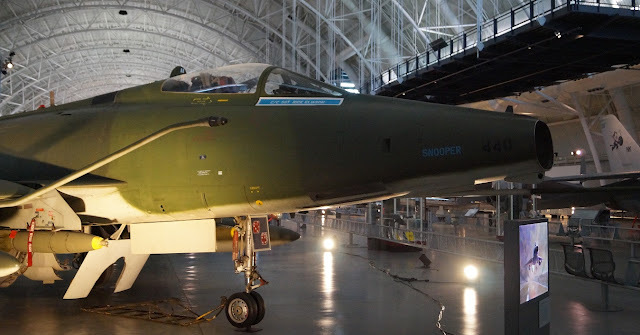 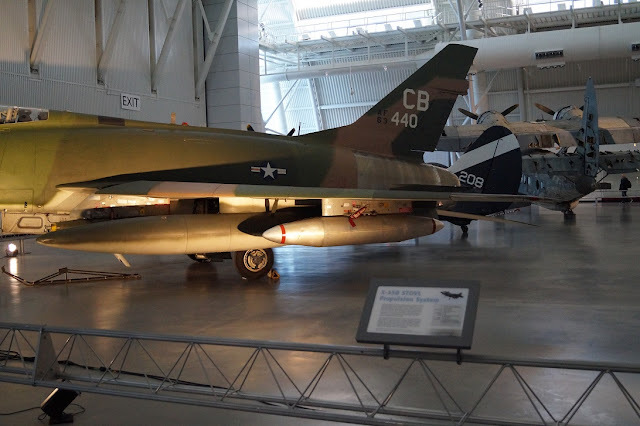 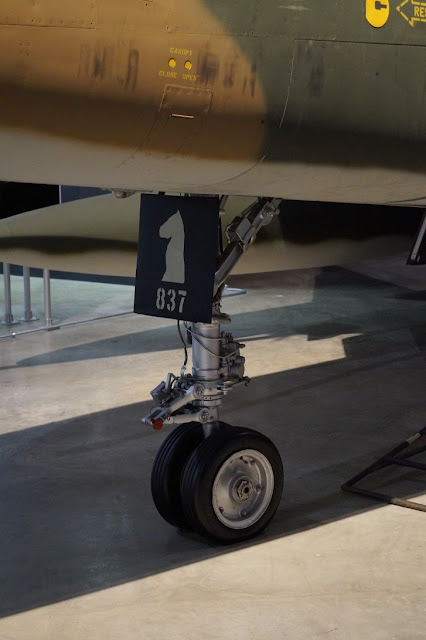 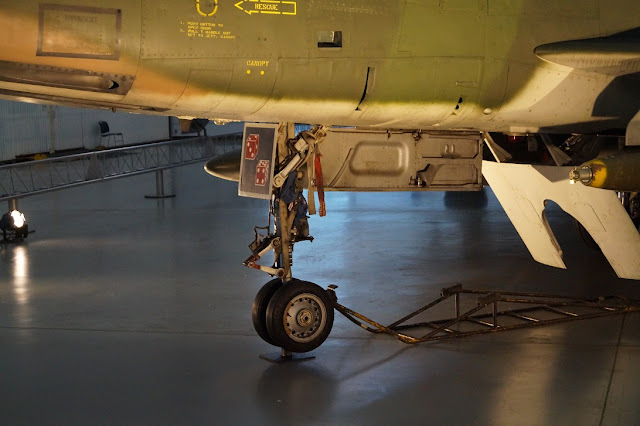 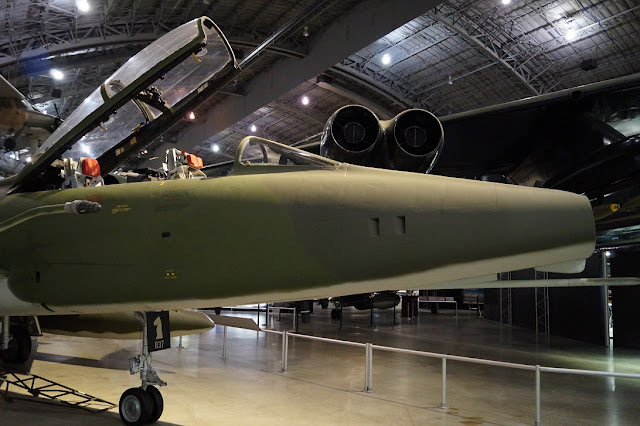 1) F-100D: 56-3440 – Steven F. Udvar-Hazy Center, Fairfax County, Virginia. 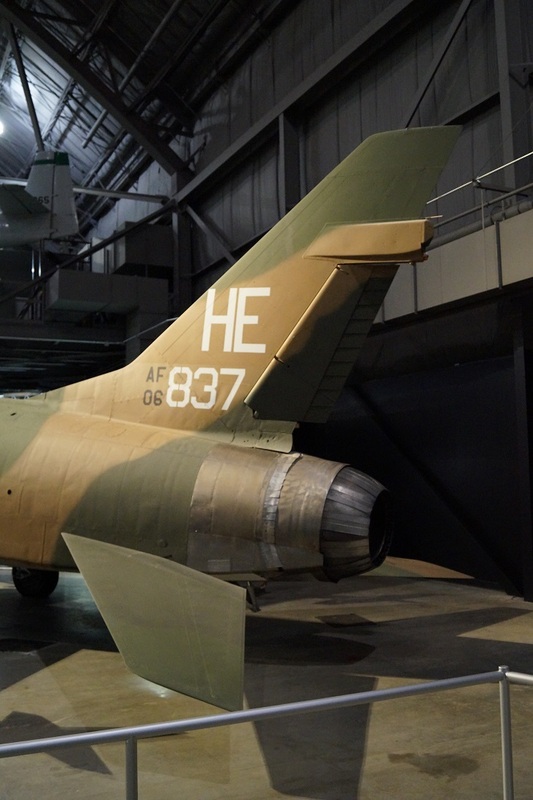 2) F-100F: 56-3837 – National Museum of the United States Air Force, Wright-Patterson AFB, Ohio. 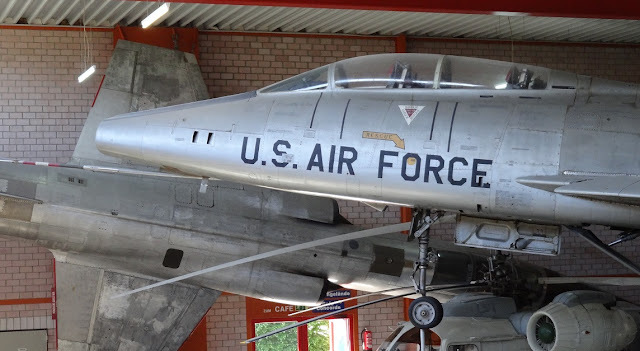 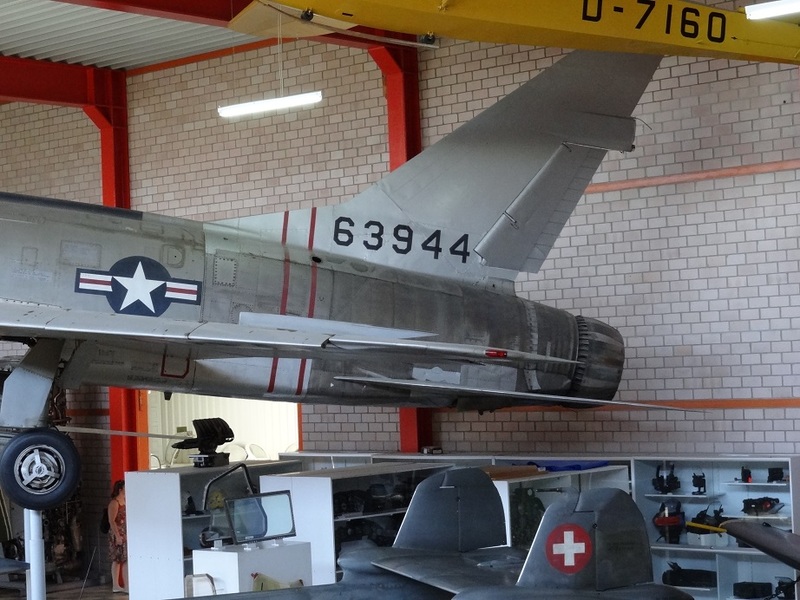 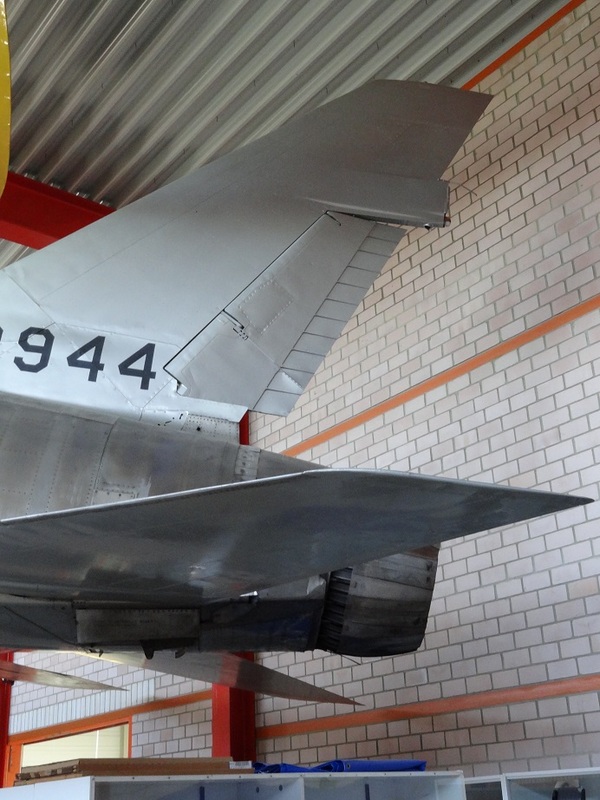 3) F-100F: 56-3944 United States Air Force – Flugausstellung Leo Junior, Hermeskeil, Germany. 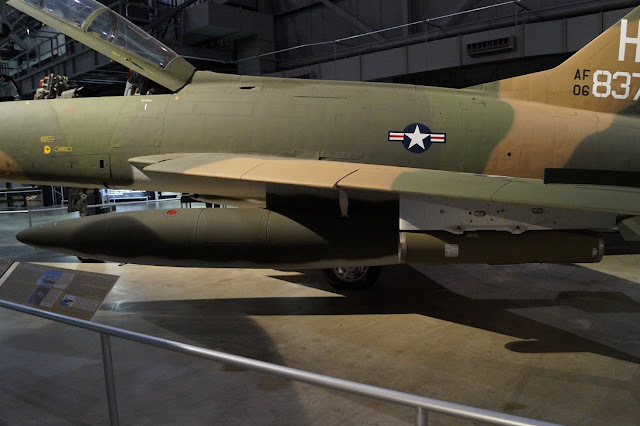 Comments: The North American F-100 Super Sabre is an American supersonic jet fighter aircraft that served with the United States Air Force (USAF) from 1954 to 1971 and with the Air National Guard (ANG) until 1979. The first of the Century Series of USAF jet fighters, it was the first USAF fighter capable of supersonic speed in level flight. 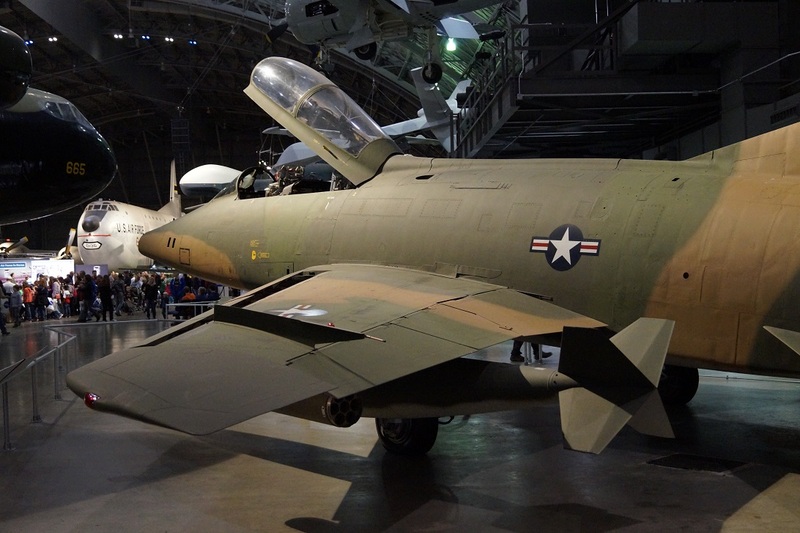 The F-100 was designed by North American Aviation as a higher performance follow-on to the F-86 Sabre air superiority fighter. The F-100D aimed to address the offensive shortcomings of the F-100C by being primarily a ground attack aircraft with secondary fighter capabilities. 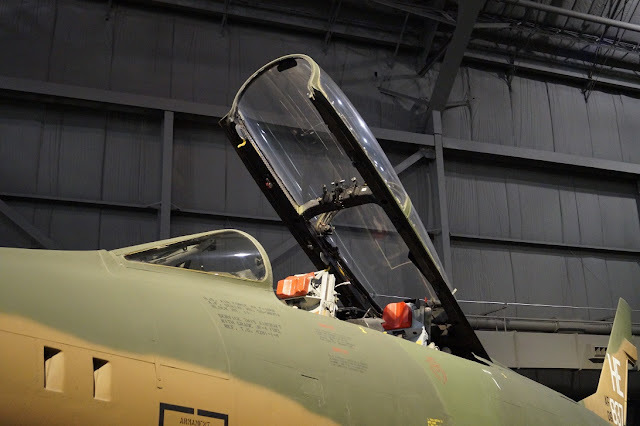 To this effect, the aircraft was fitted with autopilot, upgraded avionics, and, starting with the 184th production aircraft, AIM-9 Sidewinder capability. 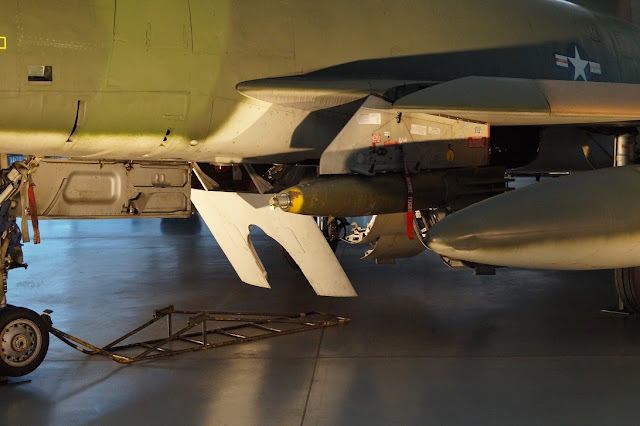 In 1959, 65 aircraft were modified to also fire the AGM-12 Bullpup air-to-ground missile. 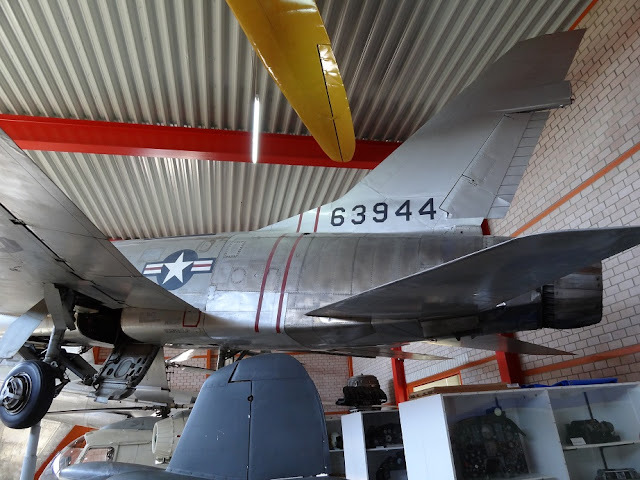 To further address the dangerous flight characteristics, the wing span was extended by 26 in (66 cm) and the vertical tail area was increased by 27%.The first F-100D (54–2121) flew on 24 January 1956, piloted by Daniel Darnell. 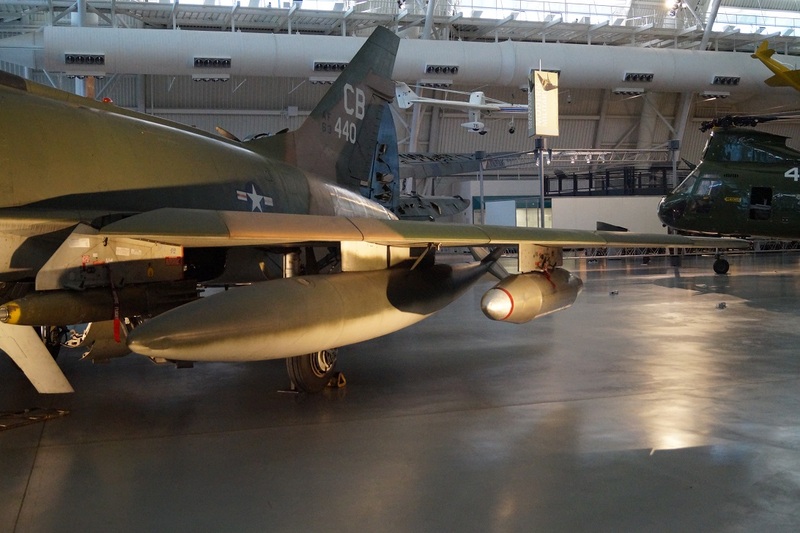 It entered service on 29 September 1956 with the 405th Fighter Wing at Langley AFB. 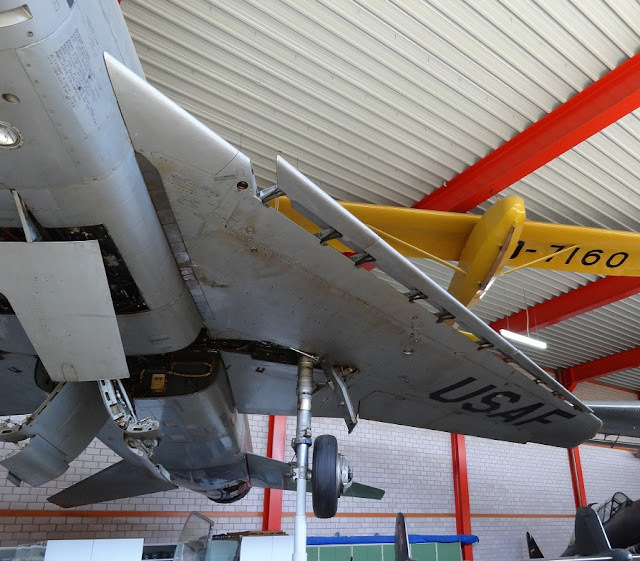 The aircraft suffered from reliability problems with the constant speed drive which provides constant-frequency current to the electrical systems. 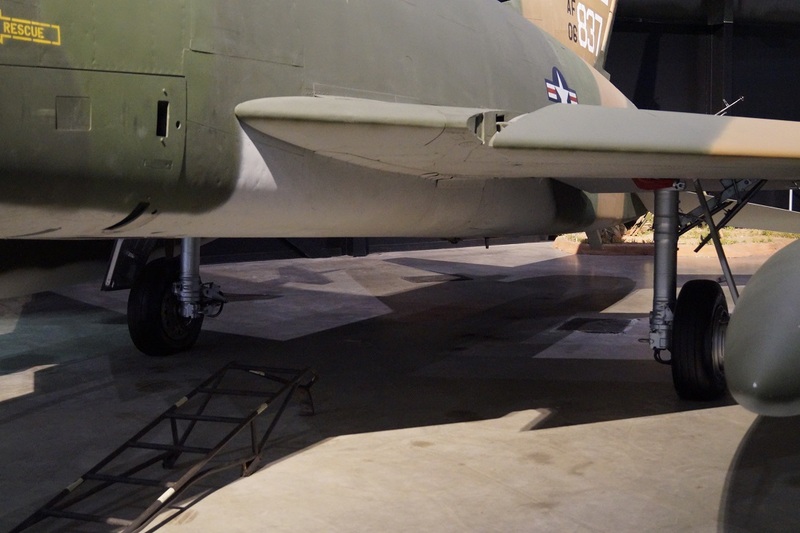 In fact, the drive was so unreliable that the USAF required it to have its own oil system to minimize damage in case of failure. Landing gear and brake parachute malfunctions claimed a number of aircraft, and the refueling probes had a tendency to break away during high speed maneuvers. 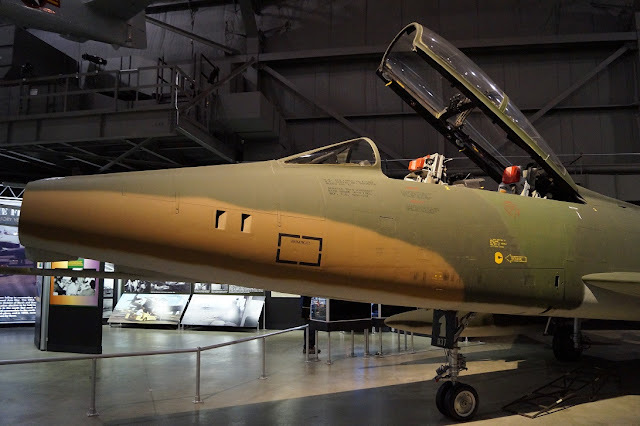 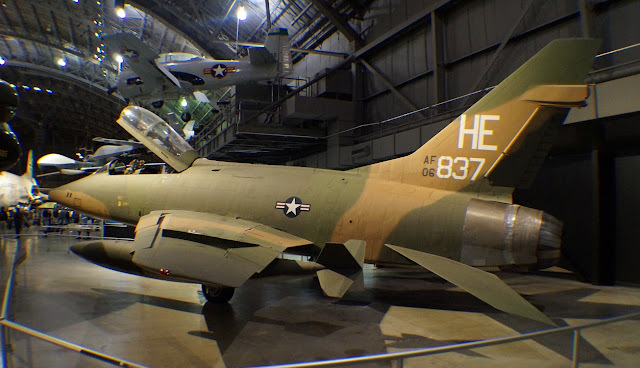 Numerous post-production fixes created such a diversity of capabilities between individual aircraft that, by 1965, around 700 F-100Ds underwent High Wire modifications to standardize the weapon systems. 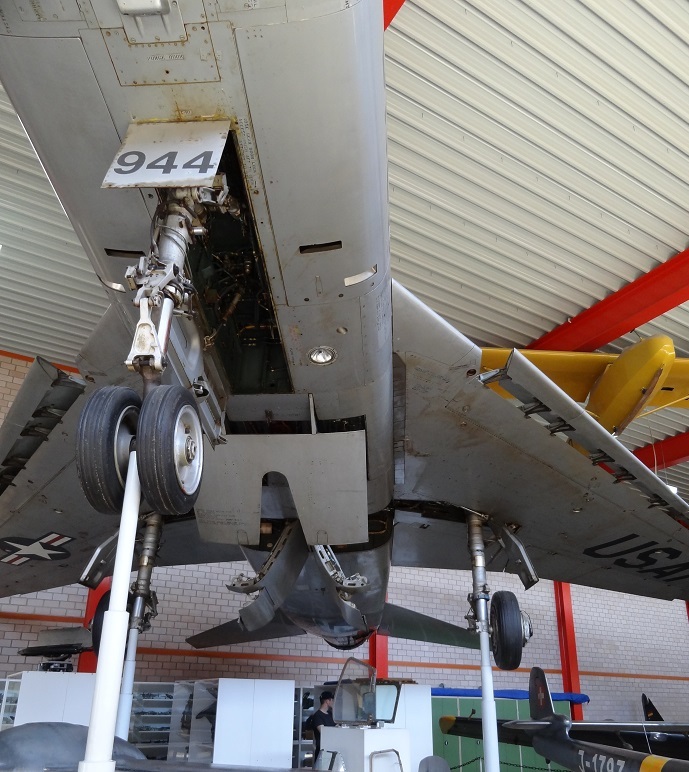 High Wire modifications took 60 days per aircraft at a cost for the entire project of US $150 million. 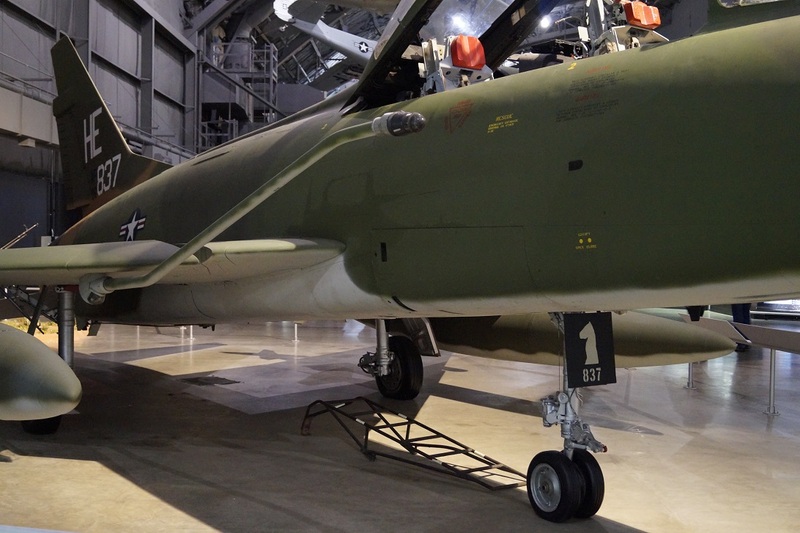 In 1966, the Combat Skyspot program fitted some F-100Ds with an X band radar transmitter to allow for ground-directed bombing in inclement weather or at night.The F-100F two-seat trainer entered service in 1958. 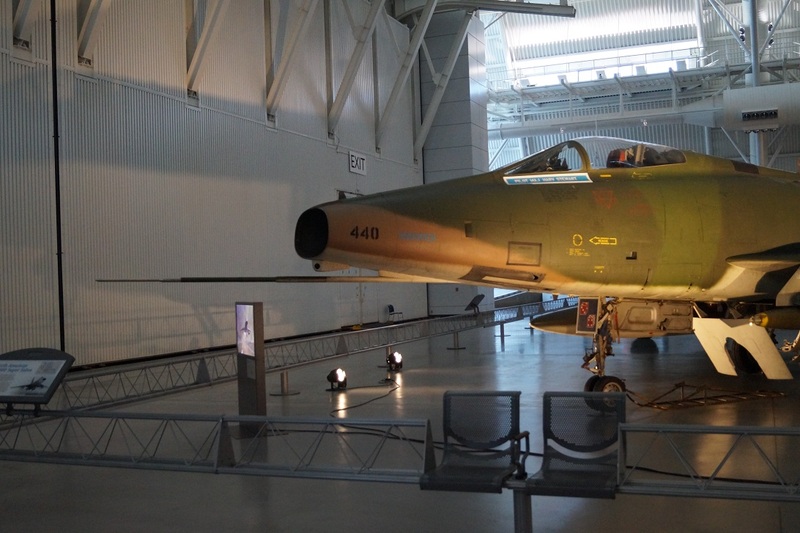 It received many of the same weapons and airframe upgrades as the F-100D, including the new afterburners. By 1970, 74 F-100Fs were lost in major accidents.